Inflammatory subglottic/tracheal stenosis, thought to be the result of an incomplete expression of Wegener's granulomatosis (no history of trauma). 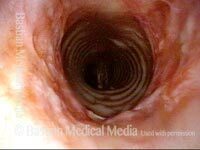 Close view, from vocal cord level. 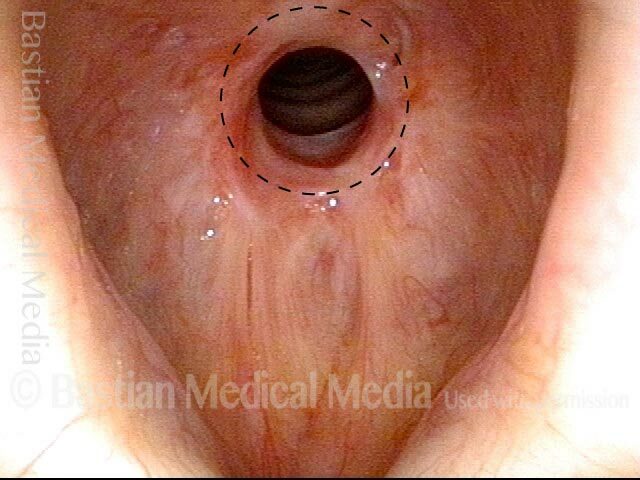 Close view, from just above vocal cords. 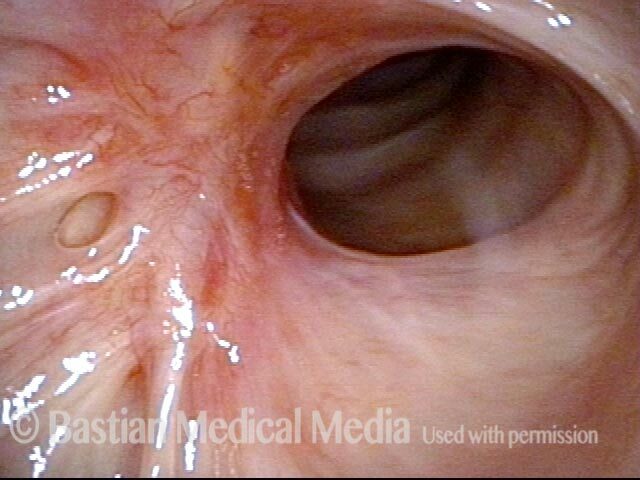 Close view, showing the inflammatory nature of the stenosis. 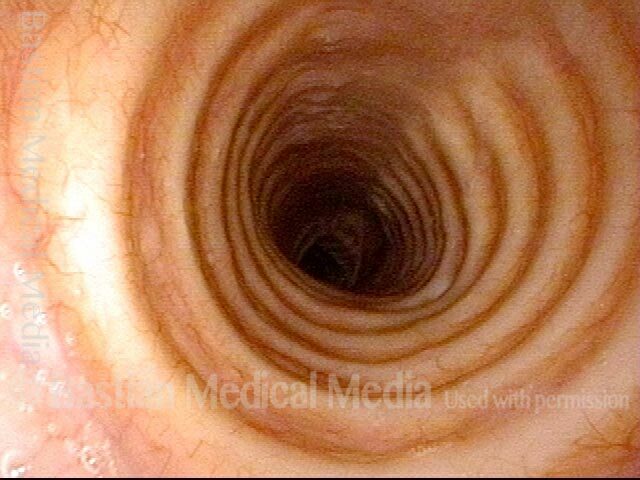 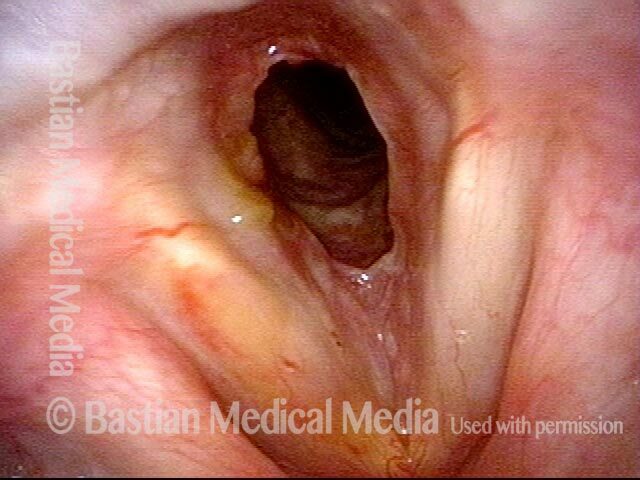 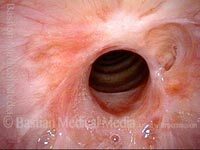 View from level of vocal cords shows residual lumen of airway at only ~35% of normal. 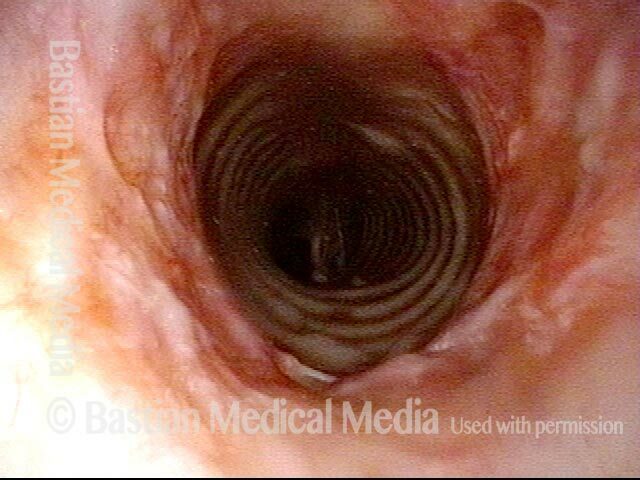 The dotted circle shows how big the lumen should be. 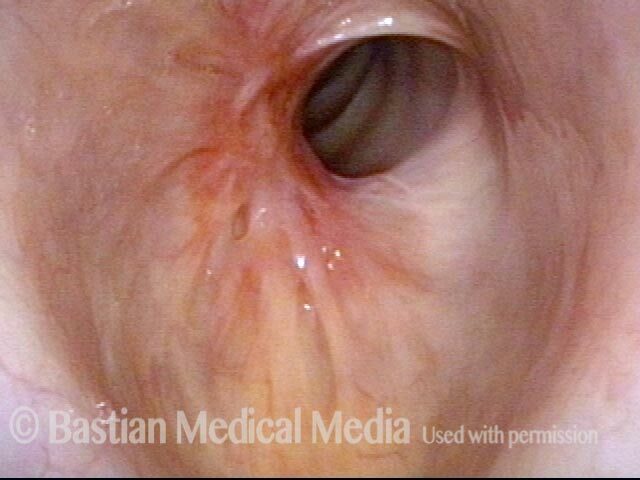 Closer view shows the characteristic appearance of mucosa and the inflammatory nature of the stenosis (pinkness). 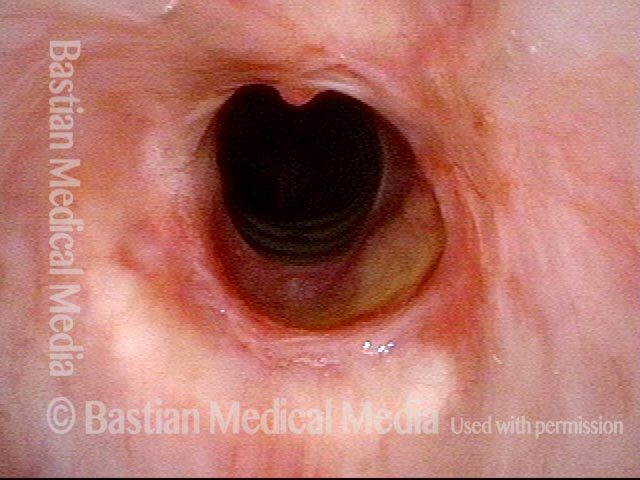 After just passing through the stenotic area, distal trachea is normal in caliber and color.